Bathtime’s gone Crazy – Fun with Soap!! Although my children have fun in the bath with little ducks, and pots to pour water in and out of, they do sometimes get fed up and refuse to have a bath. So when I was given the chance to review some children’s bath products called Crazy Soap by Mummy News I jumped at the chance – what a great way to inject some fun into bathtimes!! And when they were delivered Miss M’s face lit up like never before – she couldn’t wait to jump in the bath that night to try them. Bath Goo – This looked like a bath gel in a pot but when we opened the pot and got our fingers stuck in we found it was like proper slimy goo which Miss M found hilarious and loved playing with it between her fingers. We scooped a big lump out of the pot and added it to the running bath – it is bright yellow in colour and Mister B got very excited at seeing little bright yellow bits floating around in the water. And what I was really pleased to see was lots and lots of bubbles – perfect fun for a children’s bath. Bath Time Foam Soap – Once in the bath we decided to try out the foam sprays. My two loved these and kept holding their hands out for more! Daddy made some foam ball shapes and pressed his finger in to them to create eyes, a nose and a mouth. The foam is quite firm allowing you to mould and shape it which kept them all occupied and gave them something to do in the bath. Miss M made a ball which she threw against the tiles and then couldn’t stop giggling when it stuck on the tiles. Bath Time Body Paint – We then decided to give the bath paints a go. Each tube has a sponge applicator through which you squeezed the paint. It was a little tricky to get the right consistency through the sponge and with my children being quite young it worked best if I used it and painted the children which they loved and were soon covered head to toe in war paint!! Miss M asked for a rainbow on her back with the 2 colours we had – red and blue – although I would say the red was more of an orange colour. Overall I would say all the products were a lot of fun and we ended up being in the bath until the water had gone really cold and I still had to drag the children out. They kept asking if they can have foam the next day and couldn’t wait to jump in the bath again the following night. I would say the spray foam was their favourite product as it was fun and they could play with it with their fingers. 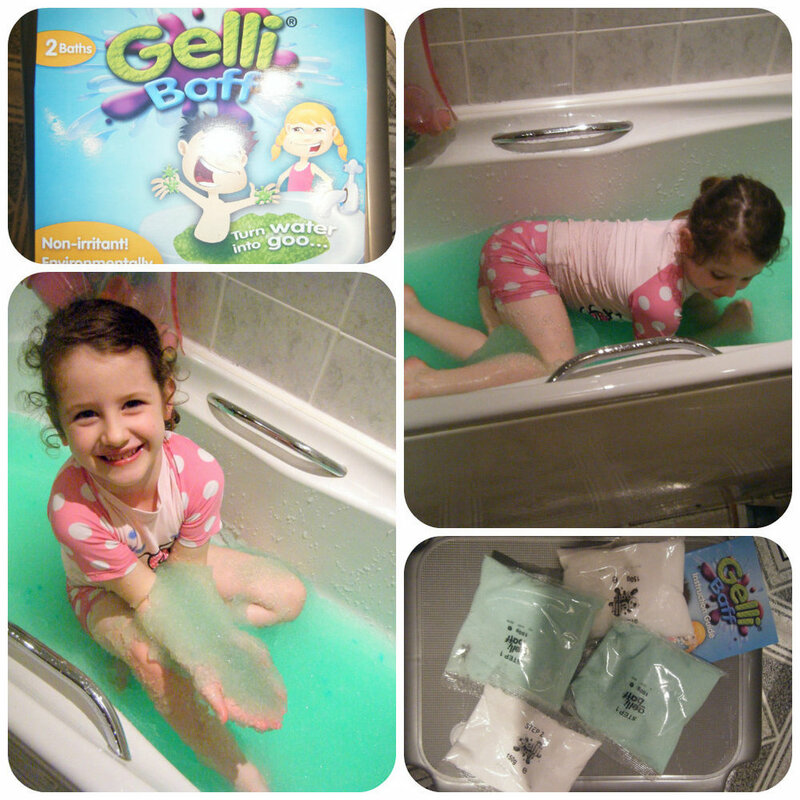 It definitely adds a lot of fun and excitement to bathtimes and is a great way to entice them into the bath.